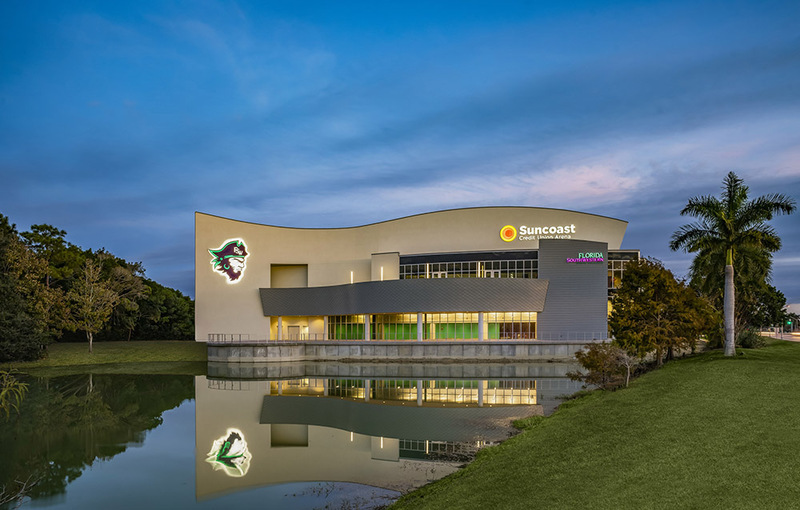 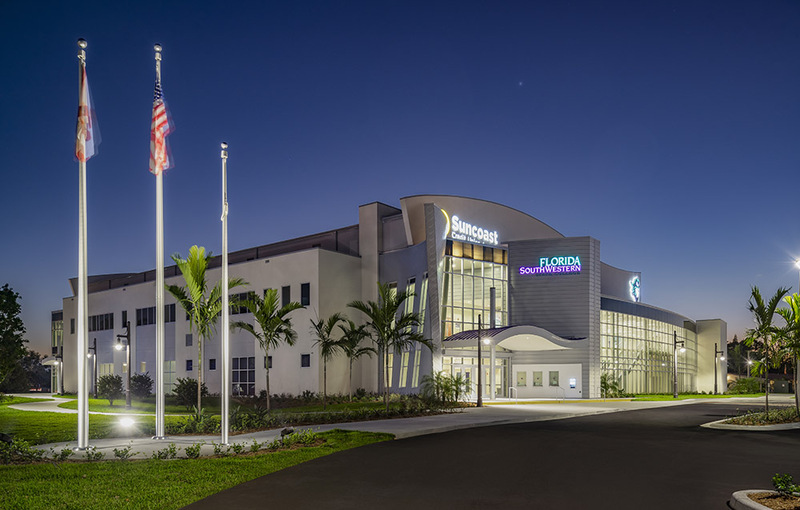 The new Suncoast Credit Union Arena will host the Florida SouthWestern State College Buccaneers’ basketball and volleyball teams, expand the College’s revitalized athletic department, provide much-needed recreational space for a growing student population and serve as a thriving entertainment hub for the Fort Myers area. 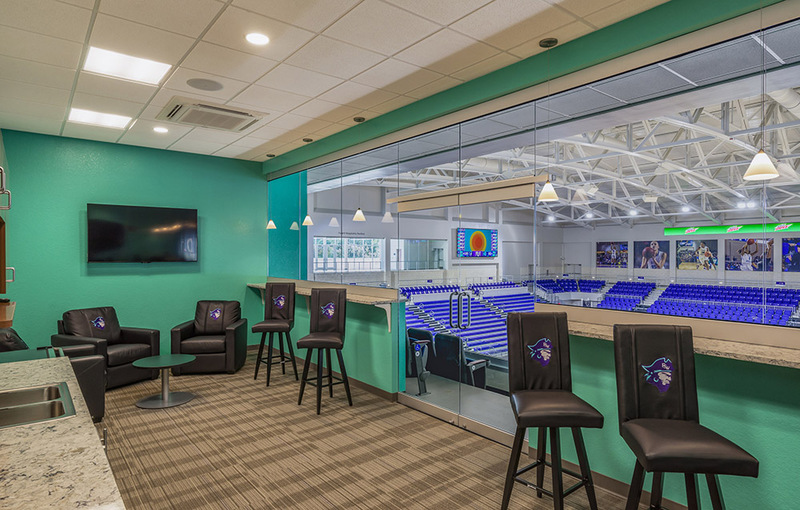 The main competition court of the Arena can be converted into recreational courts. 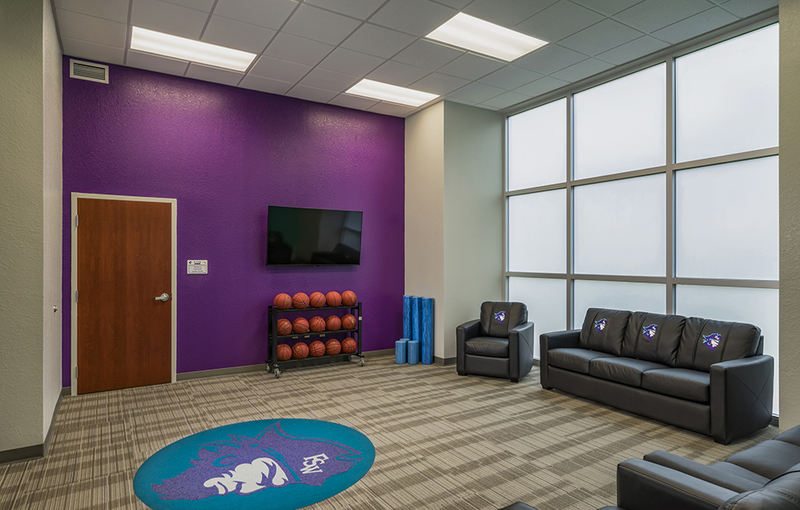 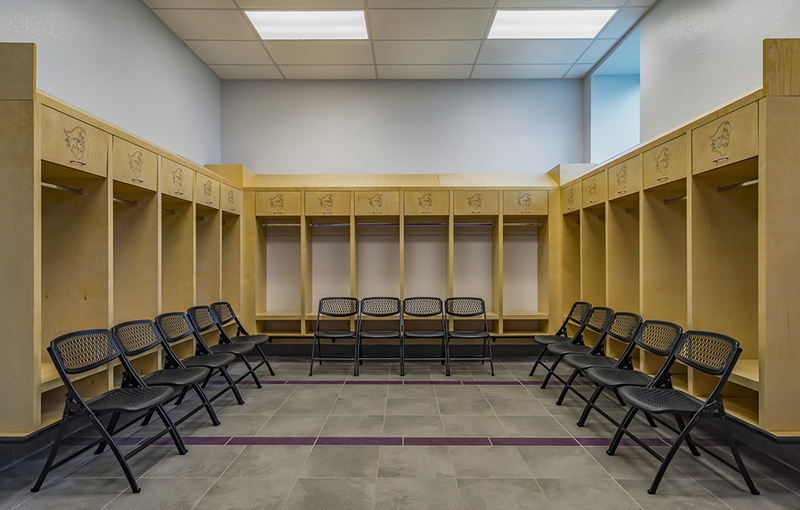 The student athletic and wellness center can accommodate a variety of activities and features three practice courts, a fitness pavilion, climbing wall, walking/jogging track, weight training area, locker rooms and lounges. 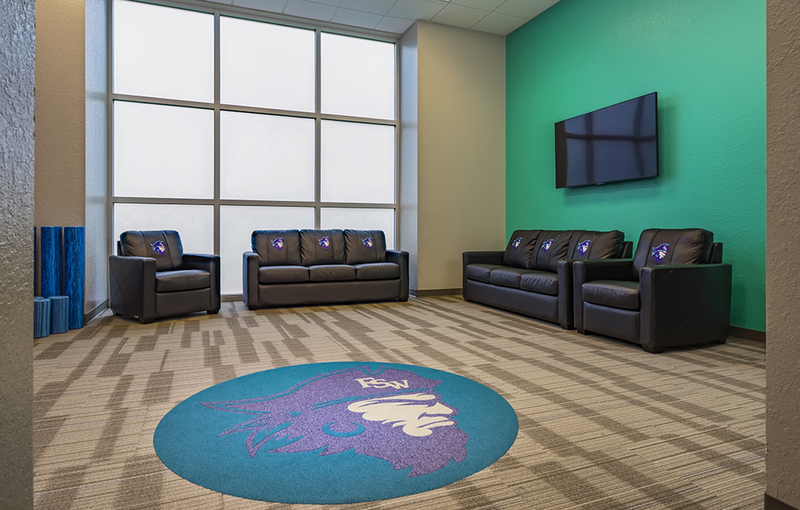 Athletic office space and suites are located on the second floor. 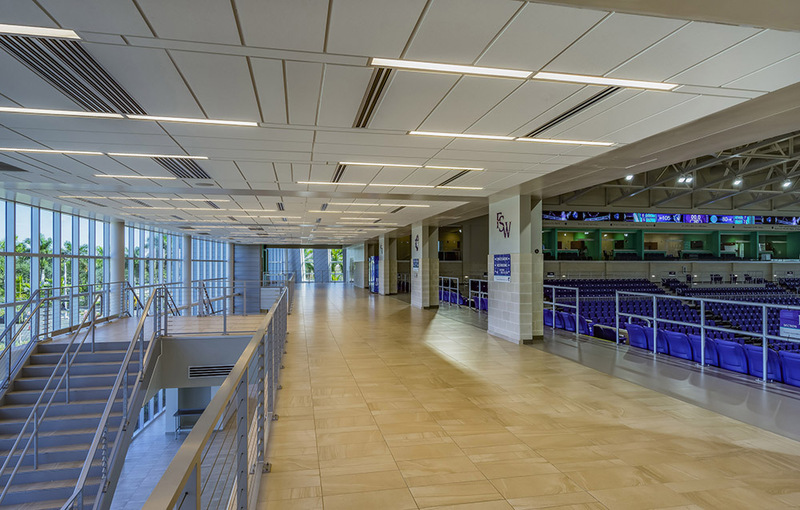 The approximately 3,500-seat, state-of-the-art facility will serve a variety of events with a hospitality suite, six luxury suites, two concession stands, a catering kitchen and a second-floor outdoor event space overlooking the adjacent pond. 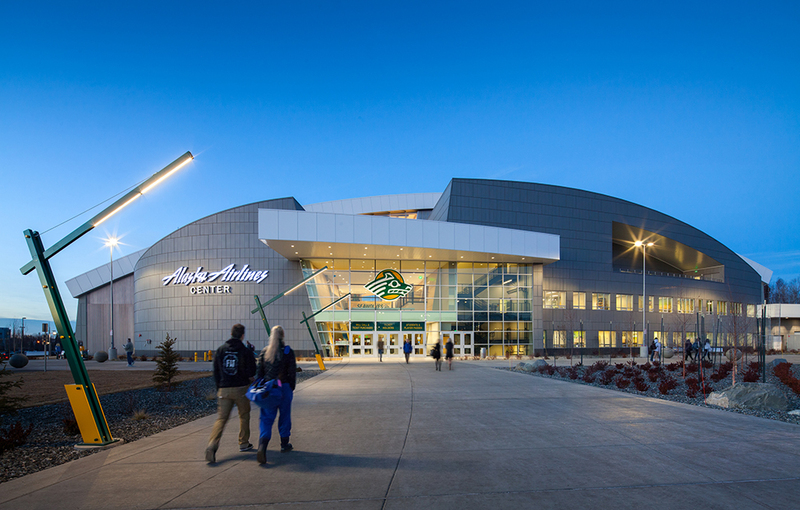 Local, regional and national athletic events and concerts are planned to be held at the Arena. 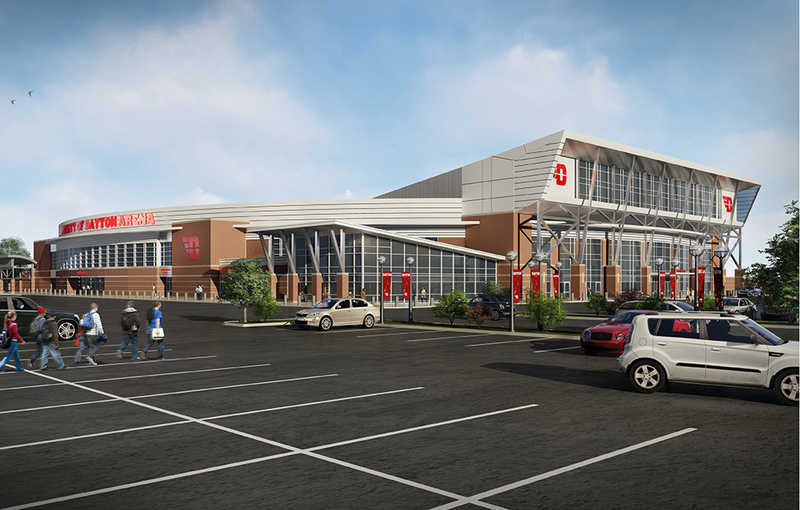 The new facility will be a cultural hub and reenergize the campus and surrounding community. 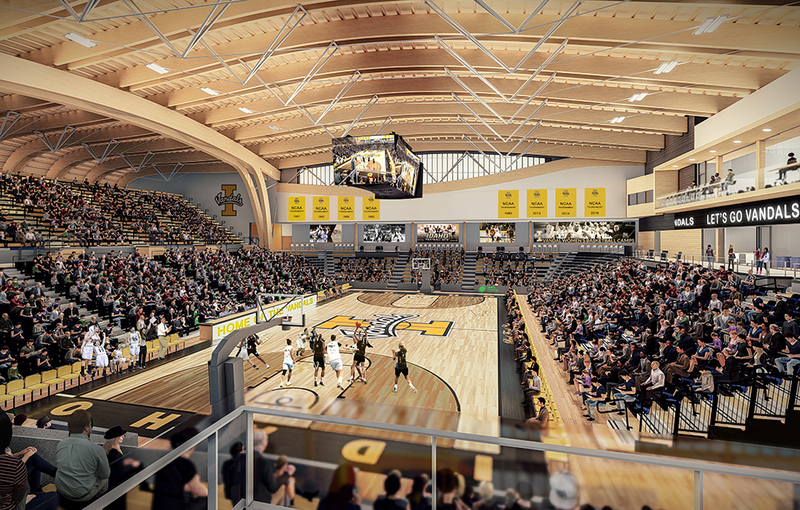 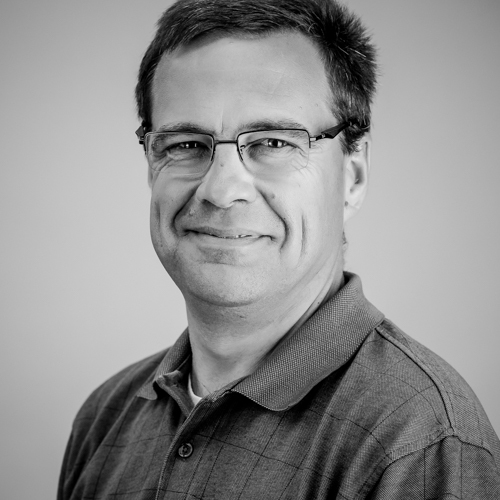 It will also position the College’s athletic department on a course to excellence by serving as an effective recruiting tool for future student athletes. 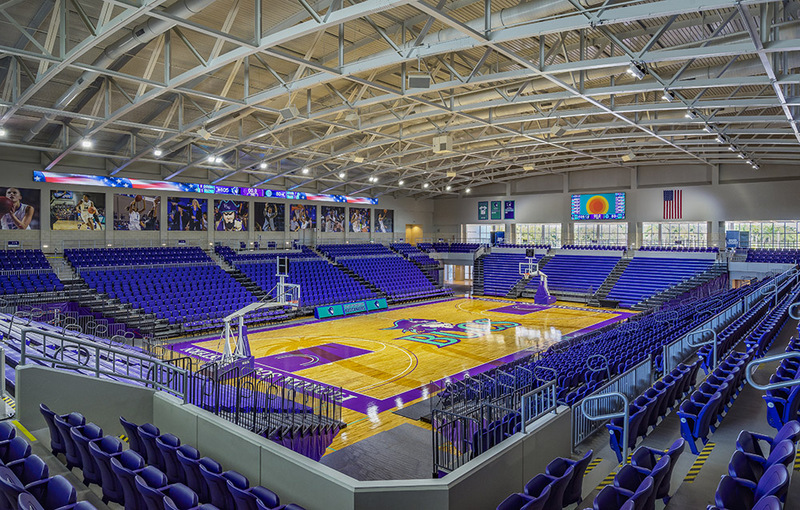 The Arena is already drawing national tournaments including the Culligan City of Palms Classic, the premier boy’s high school basketball tournament.